As Eichler continued his work over the years, he built around 11,000 homes, most of which are located in the Bay Area of California. These homes created communities—suburbs, as we know them—where all were (and still are) welcome. 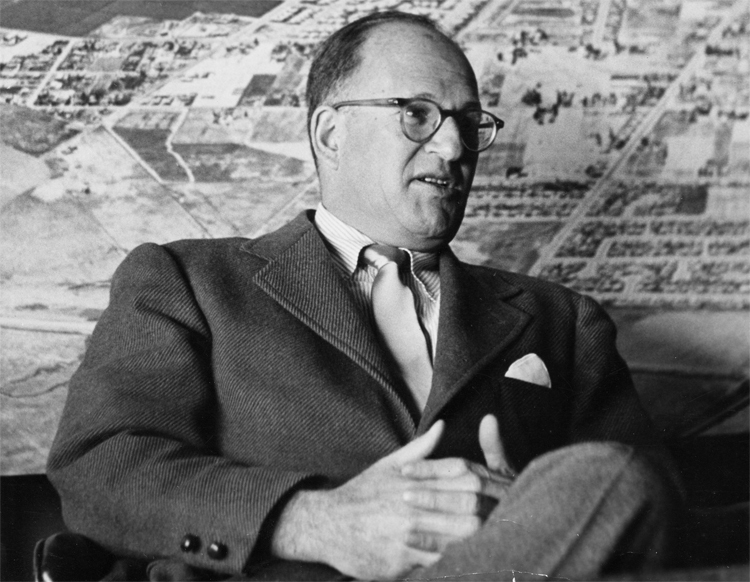 His goal was to create affordable tract homes with a lovely modernist flair that gave residents the opportunity to live the true California lifestyle. With large open spaces, walls of glass and windows, indoor-outdoor living and in-floor radiant heating, Eichler emphasized change and created optimism for all of those who lived in or visited one of his homes. Joseph Eichler broke boundaries with his unique designs and out-of-the-box thinking. Photo courtesy of Eichler Network. The neighborhoods that Joseph Eichler built were set on winding roads with beautiful landscapes, where there was always a sense of community and belonging. Neighbors were able to gather for outdoor events or cookouts, children could play together and families could share time—all while ending the day in their openly flowing, modernist home. Yes, Joseph Eichler is known for his midcentury modern designs and beautiful homes, but he also left behind a legacy of greater importance. He was a strong advocate of fair housing for all and opposed racial discrimination. He believed that everyone should have an equal chance to live in one of his homes and that neighbors should be accepting of all who did so. Eichler felt a personal connection to each and every one of his homes, as well as their owners. He would personally check in to make sure everyone felt comfortable and “at home”. He was a man of action—showing others how much he cared through his presence. And for all of this, we thank him. Not only did Eichler create amazing works (of art, in our opinion)—he set standards and paved the way for what homes could, should and would be. His designs were ahead of the time, functional and just made sense. This is also the reason why many midcentury modern enthusiasts have an affinity for his work today. Eichler designed spaces that could serve multiple purposes. Photo by Jim Brown. 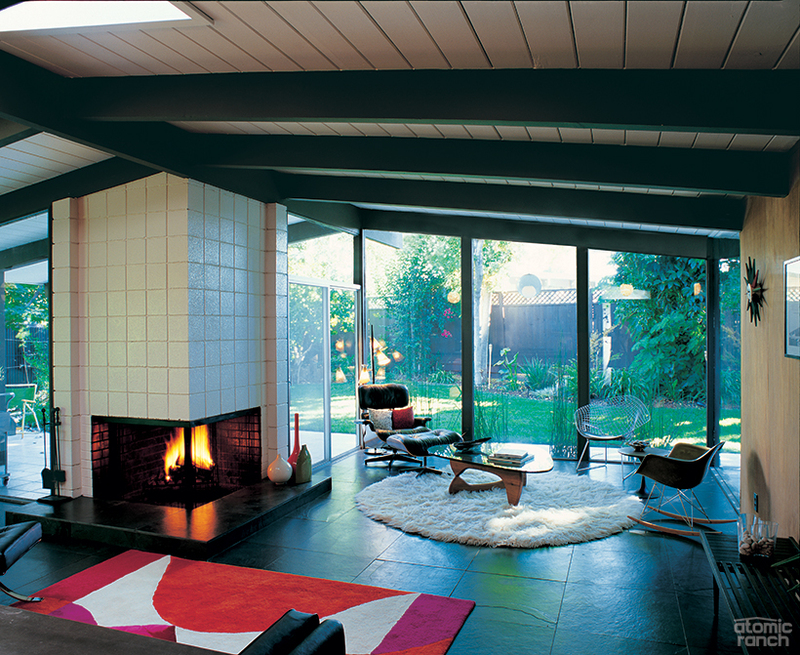 Eichler left behind a legacy that we, as the “now” generation and future generations to come should take note of. The 2017 Eichler Home Tour will be held May 6–7 in San Mateo, California. Attendees will be able to celebrate and appreciate the encouraging work of Joseph Eichler through the opportunity to tour 10 homes in the San Mateo Highlands neighborhood. 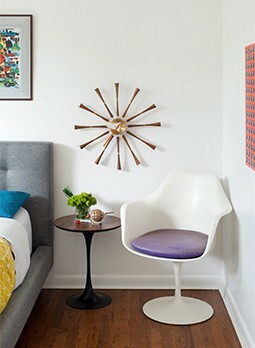 Whether an avid Eichler fan or an enthusiast of all things midcentury modern, this will impress. Composed of about 700 single-story homes with floor-to-ceiling panes of glass, skylights, open floor plans and post-and-beam construction—this community and its homes beautifully showcase a key element of Eichler’s architectural style: uniting the indoors and outdoors. Plus, it’s home to a few famous designs! What could be better than that? For tickets or more information on the 2017 Eichler Home Tour, visit their website at eichlerhometour.org.